A rural island situated in the middle of the Aegean Sea, Paros Island is a popular holiday destination famous for its ancient marble used in many surviving masterpieces found in Athens as well as colourful fishing villages, sandy beaches and a thriving port. 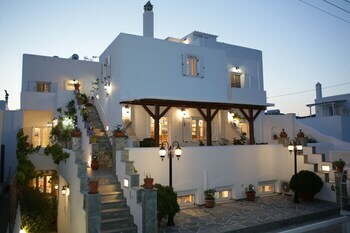 Offering a wide range of accommodation in Parikia, Paros holiday packages are the ideal way to maximise your time on this picturesque island home to the Cyclades group. A great way to experience the island’s most popular sights and attractions, Paros Island holiday packages allow you to plan and book your visit to this historically significant island. 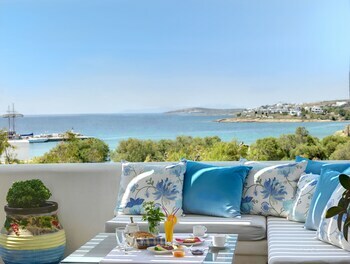 Allowing you to bring together all your travel needs into one convenient package, Paros Island holiday packages not only save you both time and money but also make finding your way around a foreign country easy and more affordable. From the Byzantine monuments of Parikia to the Venetian castle of Naoussa, these Paros holiday packages have everything you need. Whether you want to admire ancient burial grounds or picturesque harbour towns, these Paros holiday deals allow you to see more. Choose from an existing range of holiday packages or customise one to suit your own needs with flights, accommodation, tours and travel insurance all available.